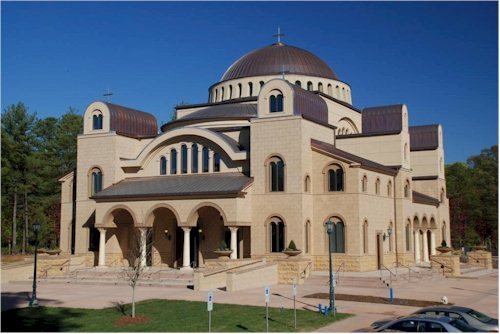 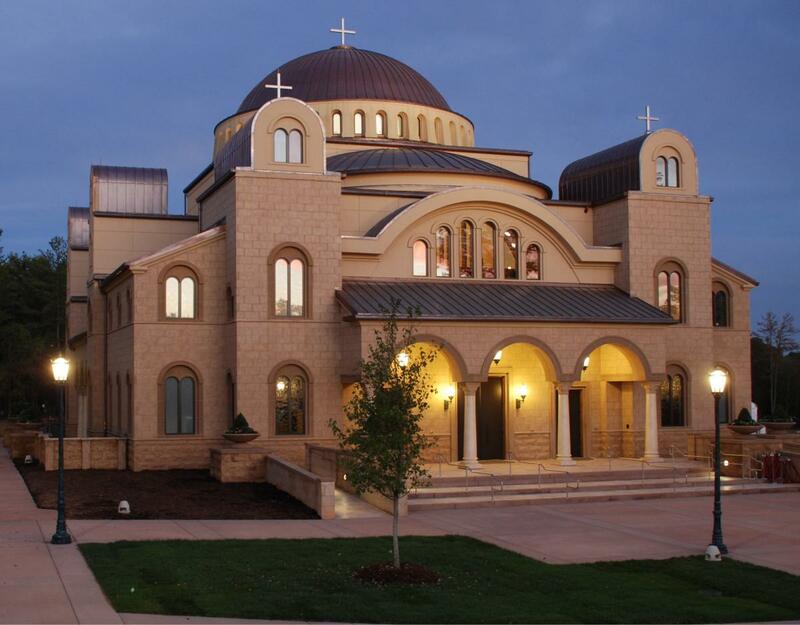 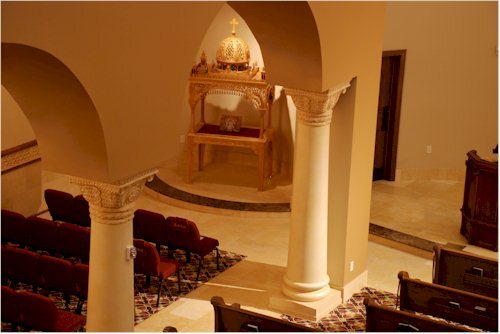 The design for this one-of-a-kind new sanctuary structure was based on the famous Hagia Sofia in Istanbul, Turkey. 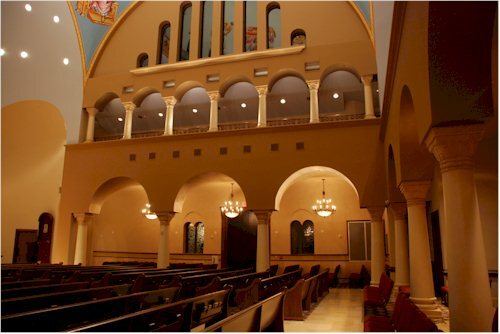 Although only a fraction of the original’s size, the structure features the same design features and proportions of the original. 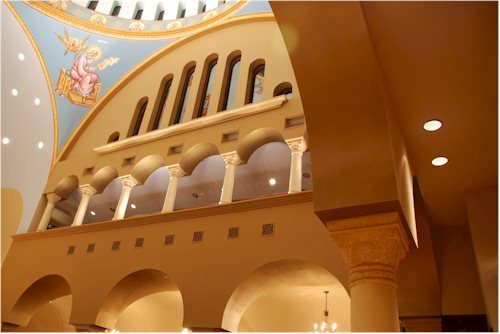 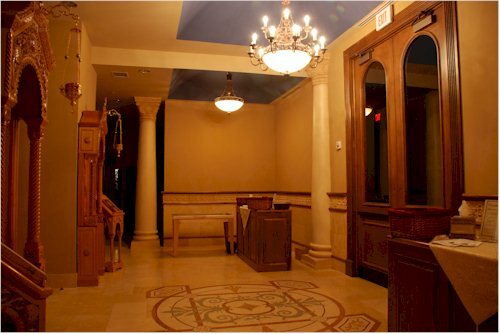 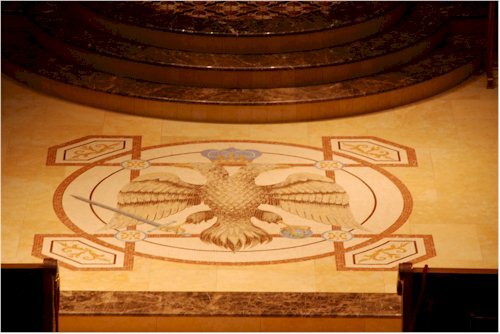 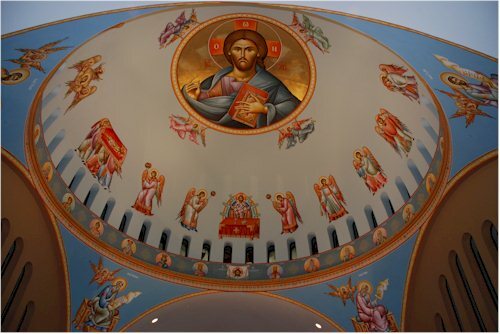 The church seats 749 parishioners and features a 74 ft. high dome, authentic Jerusalem Gold Marble tiles in the interior, groin vaulted and glass reinforced gypsum ceilings, and a total of 180 windows. 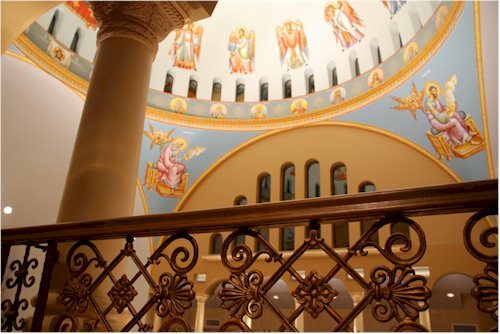 Forty of these windows ring the base of the dome for added natural light.